The CPMR Atlantic Arc Commission (AAC) is a partner in an innovative new project involving 13 other Atlantic bodies dedicated to tackling marine litter in the Atlantic. CleanAtlantic aims to protect biodiversity and ecosystem services in the Atlantic Area by improving capabilities to monitor, prevent and remove (macro) marine litter. The project will also contribute to raising awareness and changing attitudes among stakeholders, and to improving marine litter managing systems. The project was officially launched in Vigo (Galicia – Spain), in the CETMAR facilities, on 8-9 November 2017. During the two-day launch event, the partnership reviewed the project objectives and associated working plan and agreed on tasks, activities, working groups and deadlines for the coming months. Since then, its website was launched in April and will be translated into French, Portuguese and Spanish in May. 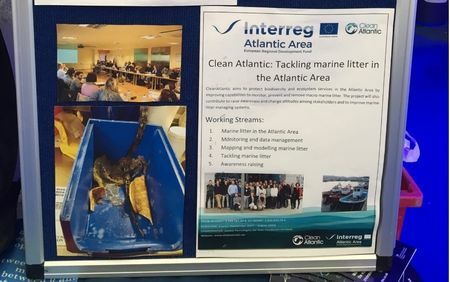 CleanAtlantic was presented at the Commonwealth Marine Science Event in Southampton on 09 April, and the Euromarime Workshop organised in CIIMAR on 27th April. The CPMR Atlantic Arc Commission is contributing to the project’s communication plan and has also prepared its capitalisation plan. 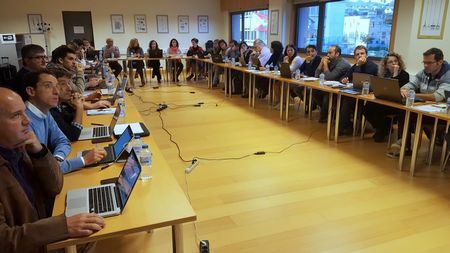 The next Project Coordination meeting will be held in Madeira on the 23-24 May, to discuss on the progress of project activities and accomplishment of objectives. Alongside the meeting, Working Groups meetings related to the different technical tasks will take place. An internal workshop dealing with raising awareness activities will also be organised to agree on the actions to be included in the awareness strategy.